BY DOWNLOADING THIS YOU ACCEPT THAT SOME OF THE HISTORICALLY CORRECT FLAGS CONTAINED IN THIS PACK MAY OFFEND. This bundle contains a various amalgamation of 89 eclectic, historical and fictional flags for you to adorn your craft. 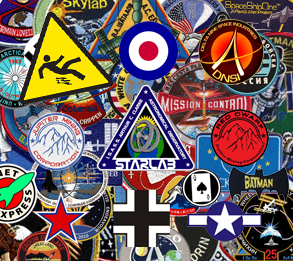 [NB] WHEN WE POSTED THIS ON "KERBAL SPACEPORT" THERE WAS ALOT OF SUPPORT ASWELL AS CRITICISM FOR SOME OF THE FLAGS CONTAINED IN THIS BUNDLE. THERE WERE ALSO MANY FLAWED ARGUMENTS IN THE COMMENT SECTION, PLEASE TAKE YOUR TIME TO RESEARCH THE EARLY YEARS OF ROCKETRY AND SPACE FLIGHT BEFORE YOU COMMENT. Does this work for 1.1?